How To Improve Mobile Website SEO -10 Mobile SEO Ranking Factors . Mobile SEO (Search Engine Optimization) has not been around as long as desktop SEO and that is why it is so difficult to judge and manipulate. We are told that it is very similar to desktop SEO, and yet wrinkles exist with that theory, such as the ever increasing proof that shorter search terms seem to work best. There are over two hundred factors that count as desktop website SEO factors. Here are ten mobile SEO elements that a lot of web masters would agree are probably mobile SEO factors. Most would agree that loading times are important for mobile SEO because mobile websites need to be light and easy to load in order to be useful. Internet speeds are slower with mobile devices, RAM amounts are smaller and processing power is smaller than with a desktop computer, so things such as loading time are all the more important. 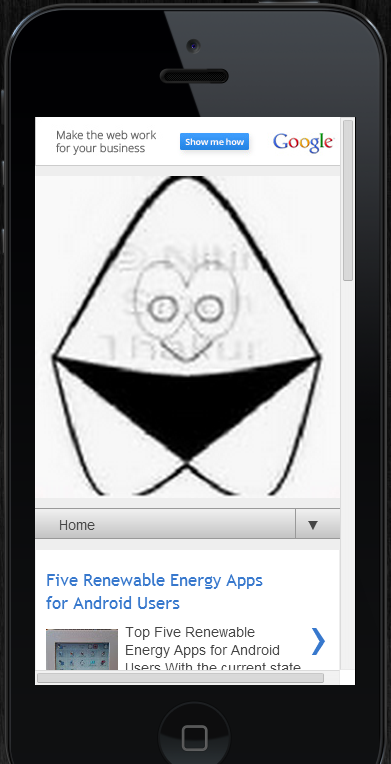 There are some websites that will redirect people to mobile website pages for mobile users but will do it incorrectly. A person will click to get to a certain web page but will instead be sent back to the homepage or given an error message. If this happens then penalties will be given. Apparently it happens enough for Google to release guidelines on it. There was a very small announcement that bad mobile experiences will rank a website down. Obvious this means that the opposite is true, although the idea should have been clarified. They mean that if you have a mobile website then it had better be a good experience for the user. If you do not have a mobile website or a responsive design then none of the mobile ranking factors should matter to you anyway. Social media signals are very easy to spam, but Google has been working a long time to ensure that they are part of the ranking factors for desktop websites. This means that there is just as much chance that social media signals are important for mobile websites too. Things such as “like”s and re-tweets are still possible on mobiles and so are probably a mobile ranking factor. Due to the fact that press releases tend to be small packets of information, it does seem that they work well with mobile browsing. This raises the question of whether they are part of the mobile website SEO factors, and it seems highly likely that they are. They are suitable for mobile browsing and are part of desktop SEO already. This is a troubling issue, as the amount of text on each page is going to be substantially less on a Smartphone website than it is on a desktop website. This means that a keyword in the title and twice in the text may be more than enough. Obviously, too many keywords are going to have your website punished under the Google keyword-stuffing rules. People do not like typing long words and long search phrases into the mobile search engines. This means that the length of your keywords is going to be a factor. It certainly rules out long-tailed keywords as your primary source of traffic. Mobile websites should pay very close attention to location keywords and getting your website and your associated business logged as at a certain location. Things such as having your website registered on the Google locations/maps tool is vitally important, as is making some of your mobile websites pages location optimized. Tight code means that it is not going to have pages of code in order to conduct simple functions (functions that could have been condensed into smaller lines of code). Clean code means that you have tried to keep it to HTML as much as possible and you have put your other programming code in external resources. This sort of thing matters because it affects loading and rendering speeds, which are more important with mobile websites. They have been a factor for desktop websites for a long time, so it is fair to say that they play a part in the mobile ranking world too. Google claims there are 200 factors that count towards desktop websites ranking up through the Google search engine results pages, and even though mobile websites are going to have far fewer SEO factors, it is hard to imagine that backlinks are not important with mobile websites too. Sonia J is an author of this post. She's also in a team of http://writing-service-assistant.com/ that helps students to find the most reliable and professional writing service.